After reading through our passengers welcome feedback on the changes that we made to service 42 back in April, we are altering the timetable, adding an additional bus to the service to iron out punctuality problems. 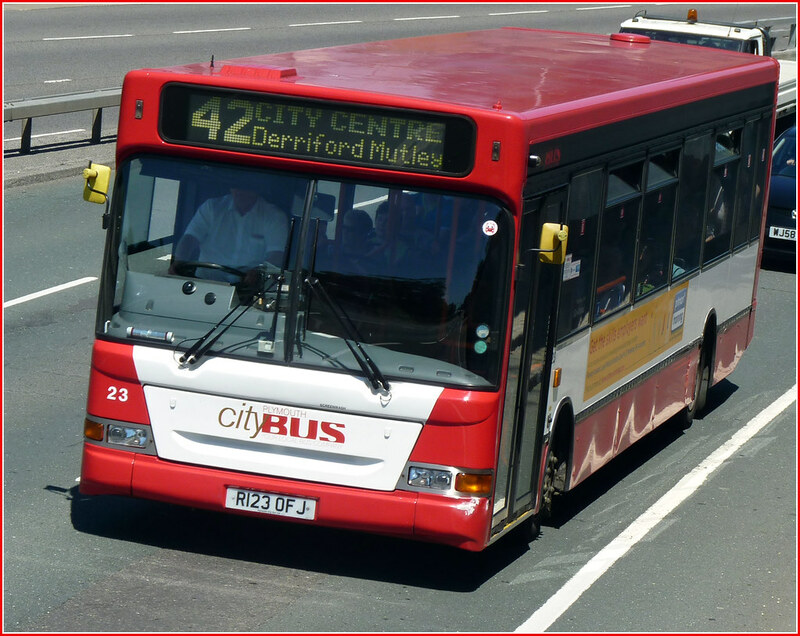 The 42 service offers an up to every 30 minute service between Tamerton Foliot, Derriford Hospital and the City Centre. On the few occasions where crucial mistakes are made when new timetables and routes are implemented, it is always in the interests of both passengers and the company to adjust services, providing there would be no adverse effect on passenger numbers. It is the first few early morning runs which change with the rest of the days service continuing as before. In what is seen as a less than good start for Giles Fearnley’s tenure as MD First UK Bus, First has lost all its Dorset work and gained none. Dorset Bus Blog As might be expected from the World Wide Web, a correspondent has, in part, solved the "Riddle of Ravenstone Wood"
Variation Accepted: Operating between Plymouth , Royal Parade and St. Budeaux Square given service number 26 effective from 04-Sep-2011. To amend Timetable. Cancellation Accepted: Operating between Bretonside Bus Station Plymouth and Bretonside Bus Station given service number 58/59 effective from 11-Sep-2011. Variation Accepted: Operating between Royal Parade and Mount Gould Hospital given service number 4S effective from 04-Sep-2011. To amend Route and Timetable. Other Details: Monday to Friday Plymouth schooldays only. PM journey only. Other Details: Monday to Friday Cornwall school termdates only. One AM & one PM journey. I have driven the 42 since it has been retimed, and it is much better! No need to race round like a lunatic. so much better than before!